One of the larger parks in the area, Clifton Common has baseball, softball, and soccer fields. It also has outdoor basketball courts, a playground, and two indoor skating rinks. The outdoor performing arts stage has free entertainment during the summer! Head to Kinns Road Park for a bit of walking or cross country skiing on designated trails ranging in length from .14 to 1.23 miles. You'll enjoy the sounds of a small creek running through the park that leads to the Sherwood Forest neighborhood. Pack a picnic or some snacks for a break at the picnic tables. Dogs are welcome so long as they have a current permit from the Town Clerk. A baseball field, playground, and open space make this park a great place for a fun afternoon. The pavilion and picnic areas are a great spot for a BBQ or gathering. Don't miss the adventure ropes course - contact the town for more information about booking the course for birthday parties or summer camp programs. This park, located just behind the Clifton Park Elk's Lodge, has softball fields, a pavilion which can be rented, and plenty of walking trails through woodlands and wetlands. Guided nature walks are held occasionally here and are a great way to learn about the park's animal inhabitants. Bring your favorite furry friend to a park just for them! 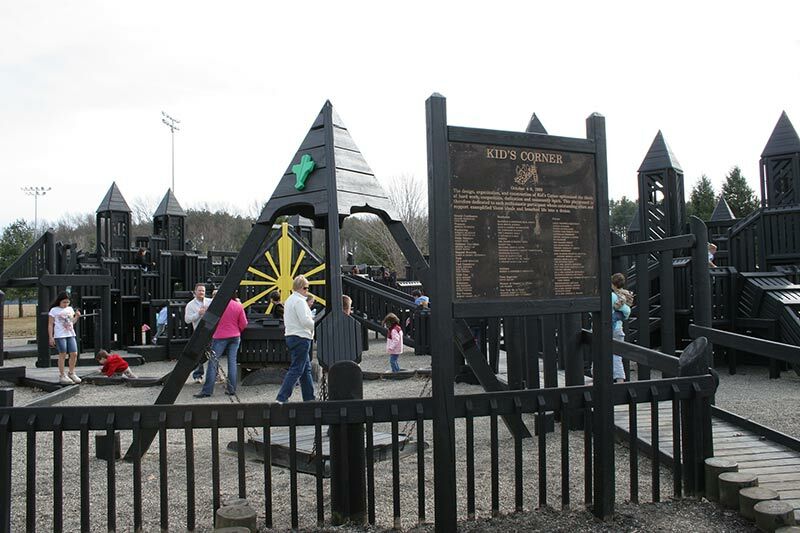 This park is open from 5am to 10pm daily and is for Clifton Park residents with a permit only. Don't have a permit? Just download and complete the Dog Park Application and head over to Town Hall to get yours. This is a 100x100 foot park that has 20 pieces of concrete and modular skate equipment for both skateboarders and inline skaters. Kids ages 7-10 will need an adult present with them at all times and everyone is required to wear a helmet. Annual memberships are available at Town Hall. A large park with over 150 acres of hills, meadows and wetlands. It has over one mile of trails that are well kept and great for walking, hiking, and cross country skiing. Don't miss the view from the second highest point in Clifton Park - on a clear day you can see our eastern border neighbors Vermont & Massachusetts. Located a short distance from the Route 146 and Route 236 intersection, Halfmoon Town Park has plenty of recreation options. There are walking trails, a playground, baseball fields, exercise equipment and more available. This park has a playground, tennis court, basketball court and a good sized field for other fun. Behind it are walking trails in the woods that divide the park from the Country Knolls West neighborhood. Close to the Country Knolls neighborhood, Longkill Park has a lot going on. It features three baseball fields, a basketball court, tennis courts, soccer fields, and a playground. The hill by the soccer fields is a local favorite for sledding in the winter! 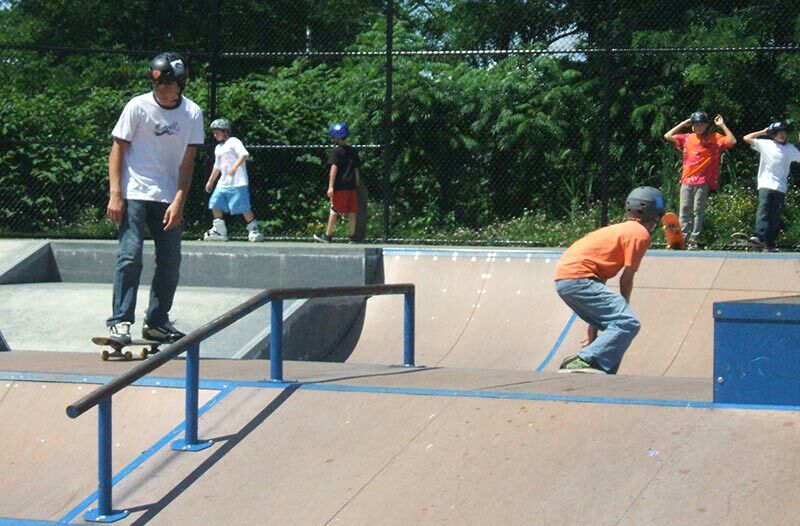 The Office of Parks, Recreation, and Community Affairs can be reached at (518) 371-6667.